In this post we’ll be seeing our review of the Garmin Oregon 750T Handheld GPS. Do you enjoy the outdoors? Whether you are up for a challenging hike or you just want to experience fun outdoor sports, having a handheld GPS is sure a big help. From climbing, hunting, kayaking to trail hiking, you’ll never know which destination you will reach. If you are looking for a rugged navigator that you can use while you are on the go,the Garmin 750T 3-Inch Touchscreen Handheld GPS might just be the one you need. Let’s take a look at what this product has to offer. The device is created for rugged and challenging conditions which makes it a very useful device for outdoor activities. You need to take some time to learn its features and how it works. The Garmin 750T is not like any other ordinary handheld GPS device as its give you amazing specs and features. It sports a 3-in. touchscreen display which makes it easier for you to use and navigate the device. For optimal tracking even in the most challenging conditions and terrain, the brad has redesigned its antenna to guarantee you optimum GLONASS satellite and GPS reception. On top of that, Garmin 750T also boasts other specs that you cannot find in other GPS handheld device. It includes a 3-axis compass, automatic geocache downloads, barometric altimeter, wireless connectivity and a whole lot more. Plus, you can download the software, upload to the online community of Garmin, receive smart notifications and you can even share your location data as well as other geocache information to other devices as long they are compatible. It comes with wireless wi-fi and Bluetooth links making it easier for you to have an excellent geocaching experience. The device automatically stays up to date with the latest catches coming from the Geocaching website. This handheld device is built for any weather and rugged condition. So, whether you want to go hunting, climbing or any other outdoor activity, this device is ready for almost anything. It has multilink wireless connectivity like ANT+, Bluetooth and Wi-fi along with other key features like Active Weather support with radar overlays and a 1 year subscription of Birdseye Satellite Imagery. Why spend a lot of time and effort finding places and spots for a great adventure? The device provides you with a comprehensive topographic maps that give you every detail making it easy for you to find the next adventure. Apart from being a GPS device, the Garmin 750T also comes with an 8 MP camera that allows you to capture amazing photos. Each of these photos are geotagged automatically, so you can easily go back to the same spot whenever you want. 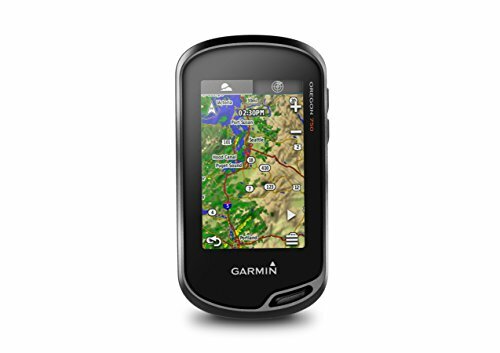 The Garmin 750T 3-Inch Touchscreen Handheld GPS is a must have for any adventurer. If you like outdoor sports, you can never go wrong in having this device. Yes, it might be quite expensive. But then again, when you look at the design, specifications and key features, it is not bad for a $500 handheld device. You just have to take the time to learn how it works and its functions and use it for your next fun and great adventure. With all this handheld device has to give, you should definitely use it for your outdoor activities.